LingQ Language Review – Surprisingly Powerful Tool to Learn a New Language! Have you heard of LingQ? It is a language learning game used by more than a million language learners worldwide. It is created by a language guru Steve Kaufmann who speaks 16 languages himself. He is one of the most famous polyglots in the world. His son Mark Kaufmann is a co-founder of this program. In this LingQ Language review, I will show how this language game can help you to learn your target language. Price: Free Version Available. Premium Version $10/month. By their words “LingQ is a vibrant community of passionate, enthusiastic language learners and native speaker tutors.” They have created a language website which includes a powerful language learning game and community. LingQ is by far one of the best language learning games that I have ever used. It’s hard to say which one is the best because it depends on individual preferences. But I can honestly say that LingQ is better than free language learning games. In this video Steve Kaufmann what is LingQ. By the way, the platform is in reality much more user-friendly than in the video because they have updated and made it better. => Try LingQ Today for FREE! LingQ is not only a game. They have a big community of language learners, tutors and teachers to help each other to learn new languages. You can find language tutors quickly and learn your target language from native speakers. You can also offer to tutor for other members and earn some money. Inside LingQ member’s area, you can also find a very active forum where members are chatting with each other on different interesting subjects. Most of the discussion relates apparently to language learning and using LingQ, but there are also other topics. Then there’s a fascinating section called “Ask Steve” where you can ask questions from LingQ founder Steve Kaufmann. It’s always wise to learn from the people who have already achieved something you want to achieve. What Are the Main Benefits Of Using LingQ? When I tried LingQ for the first time, I was really surprised how fun it was to learn German with this program. It didn’t feel at all that I was studying because it was so easy. 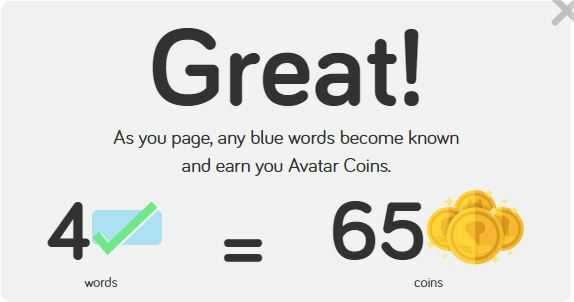 I earned points for learning new words and going forward in the game. I have always enjoyed playing games so for me it felt like an entertainment even though I was actively enlargening my German vocabulary and reading skills. LingQ is so well it’s designed that you don’t necessarily need to push yourself to learn because the game “pulls you” forward. I have played Memrise and Duolingo, but I must say that LingQ seems to be even more motivating that those two language learning apps. Of course, it affects that Duolingo and Memrise are free while LingQ costs something. Another important thing is that LingQ is created by somebody who knows how to learn languages. I believe that a guy who speaks 16 languages can create a better language learning tool than a man who would speak only 1 language. Have you heard the famous quote? If you surround yourself with other language learners and with people who already speak many languages, you will subconsciously become like them. You will pick their ideas and thoughts. It’s wise to surround yourself with individuals who have the same direction as you have in life. As you saw in Steve’s video, there are several ways to practice a language on LingQ. You will be creating “links” on your head which will enable you to speak and read it fluently. You can learn new words, review older words, listen, read and play the game. LingQ helps you to “dive” into a new language to become a fluent speaker yourself. If you have tried LingQ, I would love to hear what are the main benefits in your opinion. Please, leave a comment below. Many language learning games can’t give you the full fluency with speaking because there you can’t practice it. But LingQ’s community enables you to connect with native speakers and tutors so you can learn from them. I have noticed that speaking a new language usually makes the fastest progress that you can ever have. Who Is the LingQ for? LingQ is designed for the needs of all level of language learners. You can choose your current level and get exercises tailored to your needs. See, for example, the picture below. By moving the circle and by clicking “Apply,” the software will give you different kind of exercises depending on your skills. What Is the Price of LingQ? LingQ has three plans: Free ($0/month), Premium ($10/month) and Premium Plus ($39/month). To be honest, with a free version you get only a little taste of LingQ. 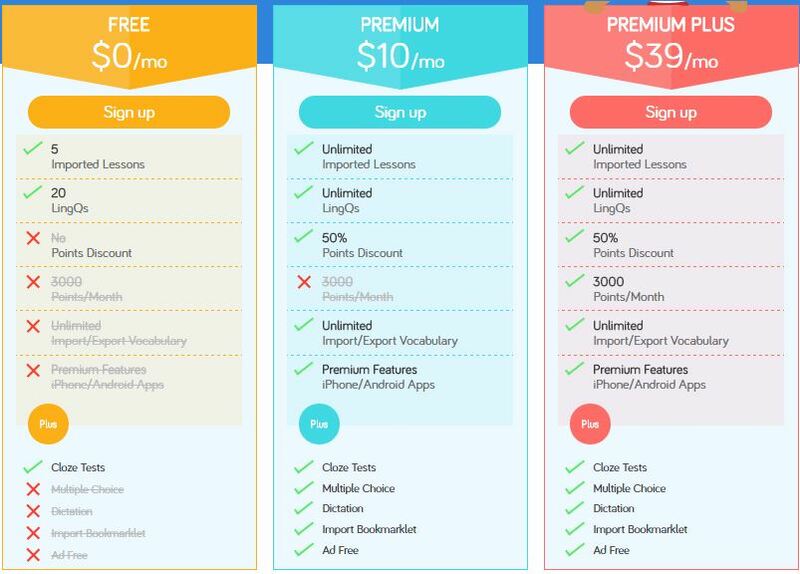 If you want to get the full benefit of this language learning program, you need to have a premium account. With a Premium account, you will get all unlimited features of LingQ. But with Premium Plus account you will also get lessons with a language teacher. These lessons are quite cheap if you compare to many other providers where you would pay even $50/hour. In LingQ you only pay $5 (=500 LingQ Points) for 1 on 1 Conversation (15 minutes) or $5 for 4 on 1 Group Discussion (1 hour). They also give discounts if you buy a longer plan right away. You can save even $45 if you buy Premium Plus yearly plan instead of a monthly account. The best thing there is that you can try it 100% risk-free because they provide an enormous 90-day money back guarantee. If you don’t meet your goals in 90 days, they will give all your money back. I think this is a huge plus because basically, you can buy new skills for yourself. Imagine how valuable skill your new language can be for you in the future. Conclusion – Does LingQ Work? I can’t find a single reason why LingQ wouldn’t work. After finding LingQ and other fantastic online learning tools, I am wondering why teacher still teach their students with some old and boring methods. Many teachers worldwide have started using these language learning programs with students. I believe that language games will become even more popular at schools over the time course. I know from my experience that learning a new language with a language learning game like LingQ can be ultimately useful. You can reach the conversational level in 3 months or less if you study a lot. I think that I am going to use LingQ a lot with the next language that I will tackle. I don’t know if it will be Portuguese or some other language. The future will show. What language are you studying right now? In LingQ they have full programs for 14 languages with hundreds of lessons available. Also they have 11 “beta languages” where their language program is not 100% ready, but they have already created some parts of it. => Learn a New Language with LingQ. Start Today! Have you tried LingQ? What did you like? I have been very keen to learn a new language, but the current apps and available programs are uninteresting. LingQ does seem to be a good option. I will sign up for a free account and test it out. Obviously if I want to see results I’ll have to look at the premium account. LingQ is a very interesting way to learn a new language. It’s made so easy-to-use that you are learning without even pushing yourself to do it. I would like to hear from you what did you like it and did it help you to achieve the level that you wanted? This is a clean, minimalist site with a clear message. It makes me want to try to learn Spanish again. A live video demonstrating the training will probably help promote the program. I’d like to provide more constructive criticism, but this site is just too good. You have not optimized for keywords. “learn a new language fast” is low hanging fruit. Adding “fast” in you title and in your first paragraph could make a big difference. I encourage you to study Spanish if you find it profitable for yourself. I have learned to speak Spanish fluently and I can guarantee that it has been a great asset in my life. I don’t understand what you are saying. “learn a new language fast” is not a low hanging fruit. The competition is 180 for Google rankings (I just checked with Wealthy Affiliate’s keyword tool). I am targeting for a low-hanging keyword with every article that I post on my website. My organic traffic has started to rise and will keep on rising every month. I used the same strategies to get traffic that I teach on my “make money online” -website. Getting traffic from the search engines is one of the best ways for driving traffic. It’s free, it keeps on flowing if you build your content and the visitors are already interested in the subject. Of course, SEO takes time but in my opinion, it’s definitely worth it. Thanks for introducing me to LingQ, this is the first time I heard of it but it seems like a neat service to learn languages in the same place. As I’m a pretty much passionate language learner, this can be a nice addition. 🙂 I’ll be sure to check it out. even though LingQ is ultimately popular is not as famous as Duolingo. The main reason is that Duolingo is free but LingQ is not. But LingQ is much more comprehensive and beats Duolingo like 100-0 with its features. However, using both is fine because they offer a little bit different kind of games. I have heard of these things but your article picked my fancy. Credit yourself for such a great article explaining how fun and educational this is. Usually I am not a gamer however the upside hear of learning a language or two is intriguing. thank you very much. I am happy that I was able to explain what is LingQ all about and how it can help you to learn languages more easily. The article is surely a good piece. I’ve tried it out myself, LinQ seems to be doing a great job. You should try it out. months ago i tried to learn Swahili but the site that helped me just had a list of words. but with Ling Q,it looks like i will be able to make conversations. it looks pretty much helpful to me. i guess i will be able to even learn more languages . and the subscription looks cheap to me. you will for sure learn new sentences with LingQ. It’s a very powerful tool, especially if you are using all of their tools which means listening, reading, the game, etc. The price is very cheap compared to the value it provides. Whatever is the next language I will learn, I will for sure use LingQ to boost my learning results. I have learned several languages the hard way…just being dropped into a situation and not being able to talk to anyone. LingQ seems to be a fun way to learn. The starter program is a great idea to give folks a chance to test the method a little bit. This is a good combination for me. I enjoy languages and I enjoy games. Thanks for sharing this information. I think that “hard way” is probably the quickest way to learn a new language. Now I am living in Austria but I am not practicing very much German because almost everyone speak English with. 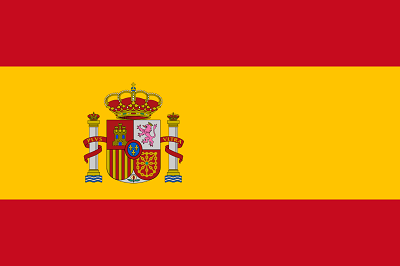 When I was in Spain I had to speak Spanish because many people couldn’t speak any English. Then you need to make the effort to find the words from your mind and you will be making progress. For sure LingQ is a more relaxed and an easier way to learn a new language. I think it’s also a very effective tool. I never heard of this approach to learning languages! But as I read your article, it just makes so much sense! I actually have a few Pimsleur CD’s for Spanish that I never completed; I think it was just a bit too structured for me. I really like the idea of not just listening and repeating words, but being a part of a community of other learners, tutors, and teachers. Oh, and being able to connect with a native speaker is just the icing on the cake! I think I may have to give this another look! my friend used Pimsleur technique to learn French and he said that he really liked it. But of course it depends on what kind of methods you like. I am sure that there are suitable methods for everyone. As someone who speaks fluent Turkish and can get by in French, Italian and Romanian I appreciate the benefits of learning foreign languages. This site addresses all the needs of anyone motivated to learn another language. I had never heard of the Pimsleur method or LingQ for games based learning. As an English teacher for 13 years I wish I had visited this site earlier, as I could have spiced up and re-invigorated my students with alternative modes of learning. Can I ask which learning method I can use to really improve my Turkish? nice to meet you! You are also a polyglot who speaks several languages. That’s always impressive! You can improve Turkish with LingQ because they have courses for many different levels. Another wonderful option is Italki. There you can find Turkish native speakers and learn with them for free. You can arrange a language exchange, you can buy cheap lessons from language tutors or buy lessons from professional teachers. I think that speaking a language is the fastest way to become fluent. What do you think? Am totally in the hook with you on this. Just like you I’ve never heard of Pimsleur method or LingQ up until I got to this post. Believe it or not, Roope is doing a really great job informing us on very educating and resourceful ideas of learning a new language in a fun and easy way without going through the conventional means which are somewhat boring in a way. LingQ sounds such a better way to learn a language than the old traditional school method. The out of date yet present system is that you only have a couple of hour lessons per week yet what is learnt soon vanishes due to the time in between lessons unless you were committed to revising constantly. This learning game sounds pure fun, like the video says, it’s a case of listening when driving, washing up or jobbing around the home but as you keep adding the new lingqs you’re subconsciously learning more every day. To advertise this as being able to speak fluent in 3 months-ish is pretty mind blowing. As you say why aren’t schools teaching their lessons this way. This works, the old school learning curve is so out dated. Which languages have you learnt so far? and would you say their 3 months fluency program works? Thanks so much for introducing me to this. We always go to Spanish countries on holiday vacations, they all speak our language but most of us including myself don’t speak theirs. I know that Benny Lewis’ Fluent in three months methods work. He revolutionized the way I was learning languages. And it has done the same for many other language students. I started learning much faster and much easily than before. 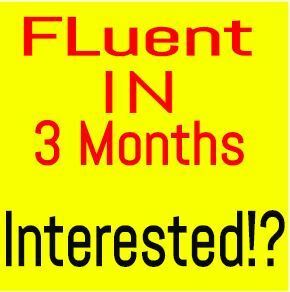 Will you become fluent in three months with Benny’s methods? Yes, if you have enough time and effort. But the name, “Fluent in three months” is also quite provocative. I would say that 90% won’t become fluent in 3 months after that course but 99% of people will learn languages much faster than before. If you don’t put very much effort but still something, I would say that becoming a fluent in a year is a comfortable time. I speak Finnish, English, Spanish, French, German and Swedish. Not all of them 100% fluently, Finnish is my native language and Swedish probably weakest of those 6. But I know that I could become fluent in Swedish very quickly if I would need it. At the moment it’s not actual. I wish you all the best with your language studies! Spanish is a wonderful language. I had learned french back in high school. Recently with Apps for learning languages like Duolingo, I tried to relearn the language for a brief time. This is the first time I have heard of LingQ. Your article was very informative, clear, concise and well structured. This app you have reviewed makes me want to pursue learning french again.I guess the only downside would be the payment. But I’m definitely going to try out LingQ. French is a very beautiful language. 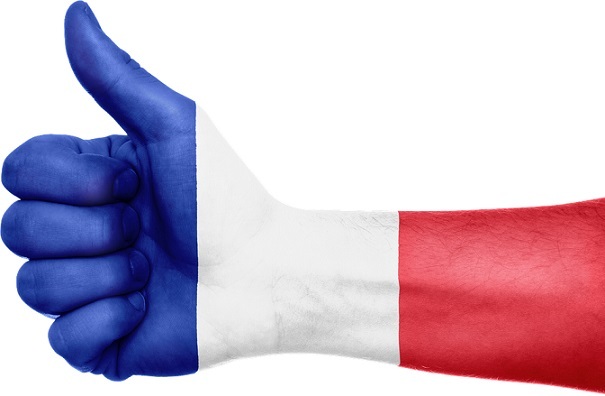 I have learned French with online tools and by practicing with other French speakers. I didn’t study it back at school when I was young. I have realized that learning a new language on the Internet can be quite easy. This is quite amazing to me. I remember we learnt German for 3 years at school and not one of us became anywhere near fluent, in fact quite the opposite. To learn those 6 languages, Finnish, English, Spanish, French, German and Swedish towards being fluent is mightily impressive with this training – Well done you. I understand that it is necessary to put in the work to accomplish these results however to have the confidence in speaking another language in a years time really does impress me. Thanks for introducing me to this program. What will be your next language? 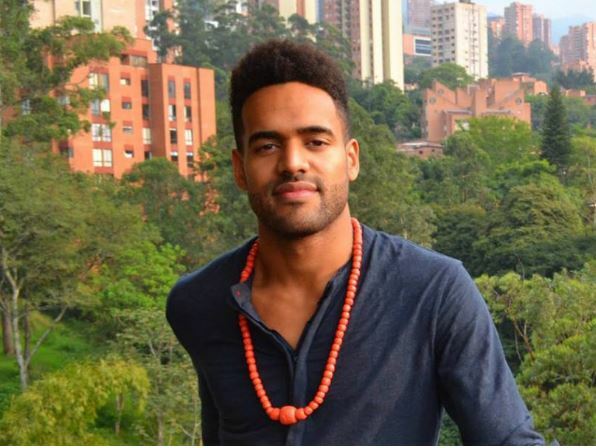 I would like to learn Spanish as these are our favourite holiday destinations and I feel it’s only right that you should put in the effort to speak their language when you are the visitor. I am not sure what is my next language. Maybe Portuguese some Asian language because I am planning to move there in 2018. I bet that Spanish people will love it when you speak their language! Lol. I learnt English language for a little longer than those years and I still can’t qualify myself as being completely fluent when speaking. I doubt there’s ever a thing as being completely fluent with a language regardless. W can only try the best we can to sound like a native.Now thats why I love the whole concept of “speak like a native”, one of yoyr previous post. yeah, LingQ is definitely user-friendly and a good one for beginners. Ir’s easy-to-use and even kids can use it. 16 languages is impressive. However, I am sure that anyone could learn it with enough practice and commitment. With tools like LingQ learning new languages becomes so much easier. Never heard of LingQ or its creator Steve Kaufmann. The fact that the creator of this program speaks 16 languages itself is a unique selling proposition for this program. Another major attraction for me is the availability of the free version, even if I have to pay for the program it will be costing just $10 in a month. Considering the fact that I have to pay 3-4 times more if I want to go to a traditional language class. The rank, which is 91 out of 100, is also comes as a positive note about LingQ. I am interested in this program. Thanks for the review. yeah, Steve’s “testimonial” is pretty powerful. He says that he used LingQ for learning many of those languages. I think anyone who thinks that languages are hard should try LingQ. It really makes language learning easier. Has LingQ any kind of warranty? Like If you purchase premium and dedicate at least X hours/day you will be able to speak the language? I speak 3 languages , and I’m looking for very efficient ways of learning new language or expanding my vocabulary. Thanks! I am not aware of warranty. I recommend contacting their support to ask about it. I think that results between students vary a little bit. However, their founder Steve Kaufman speaks 16 languages and he has learned many of them by using his own app. I am going to start my comment with a question. What does LinQ itself mean? Where do you even come up with these programs? It’s like you’re living on different earth from the majority of us. Everyrime I search on the net for sites like this, I always end up with frustrating results. Am very impressed with your research efforts. I won’t even begin ask if it’s a good program as you’ve said it all in your post. The fact that I can get to learn multiple languages in a relatively short time with a program owned by a 16 language speaking person is just awesome. Being able to try it out on a free plan makes it a plus. I just might check it out. I think that LingQ doesn’t have a special meaning itself. It’s just a brand. Maybe they have some meaning but I don’t know what it is. I thought as much. But I like the way the name sounds, “LinQ”. That’s a lot of digging around to come up with solutions the majority don’t know about. Keep up the good work. Thanks! I’ll definitely keep on updating the blog and writing lots of new content in the future. Wow it is a great opportunity to have a chance chatting with their founder. It is really a great idea to have this “Ask Steve” forum because when we talk about founder, he or she is fluent to any language that the website covers. LinQ is very creative and had their great concepts about learning some languages. True. Steve Kaufmann is a genius 🙂 He has also a YouTube channel if you want to check out his language learning tips there. I just downloaded this app because of your article, and I’m checking out out currently. I’m gonna stick with a free account and see how that goes though. They have a good range of languages which is nice, I’ve had a lot of apps that only work for ~3 languages and if you want anything else you’re out of luck. It’s also great that they let you select your own level to work from, although I do like the testing method other apps use to decide for you.